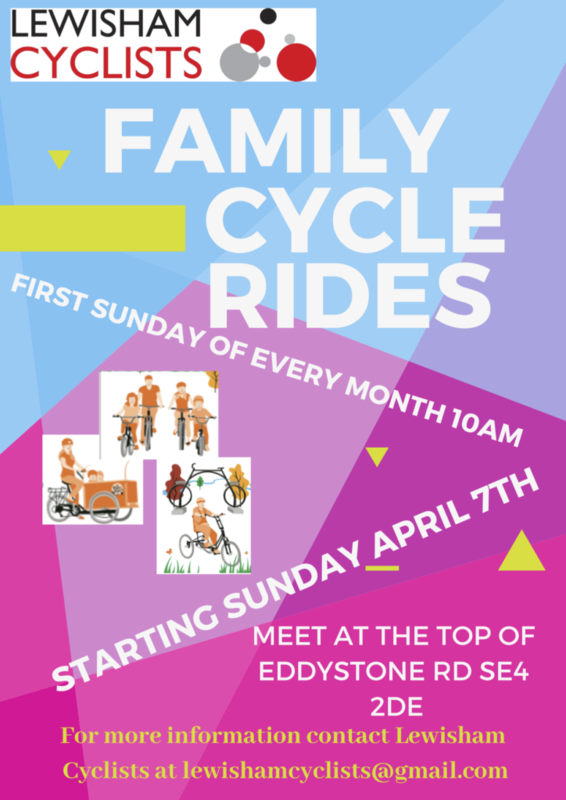 We are organising a Family Ride every first Sunday of the month. We meet at 10am at the top of Eddystone Road. This is a fun way to discover safe ways of cycling with your kids in Lewisham, get out and meet other Lewisham Cyclists to exchange ideas and tips about cycling. If your kids can ride themselves – great! If you need a bike yourself, or a ride in a cargo bike for your kid or borrow any equipment, drop us an email.